After certain events of chaos unfolded planes across the Blind Eternities went seemingly quiet. They seemed to be a peace, until new threats arose. These threats were being countered when the one with the most passion in their heart rose up to whatever their plane was being faced with. Amonkhet (Claimed): After Nicol Bolas reveals his plan to the Plane, most of the inhabitants fight with the Gatewatch and defeat him but after the fight one of his true followers gains some of his powers and vows revenge on the newly built Amonkhet. Fiora (Claimed): Underneath all the political schemes a more sinister plot is being created by someone thought to be a true force of good on the plane. Innistrad (Claimed): After the imprisonment of Emrakul and the downfall of the Eldrazi (Even though plenty remained) Innistrad had it's moment of peace before some new force started wreaking havoc on the plane once again. 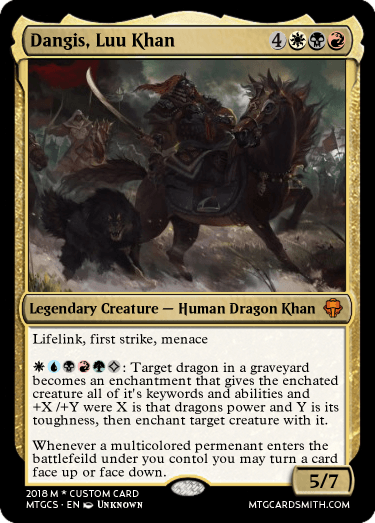 Ixalan (Claimed): After the Immortal Sun was found by the Merfolk all excitement on Ixalan was thought to be finished, but with the power of the Sun released and well known figure's downfall a new player emerges to take power. 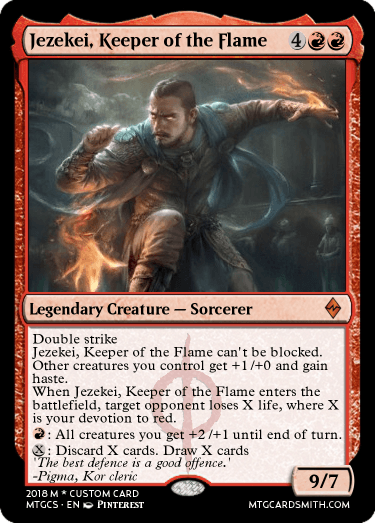 Kaladesh (Claimed): After the downfall of Bolas, Tezzeret returned to Kaladesh under a disguise and took power back over while he secretly caused chaos from the shadows. 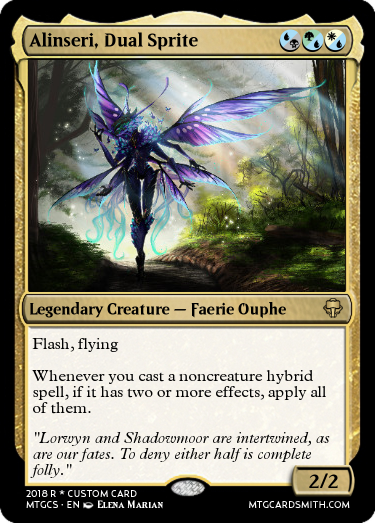 Lorwyn (Claimed): A small creature is creating a big mayhem over the plane that is supposed to always be sunny and while that happens a group of dark magic users are trying to combine Lorwyn and Shadowmoor to create a wild plane of fluctuation. Mirrodin (Claimed): During the Phyrexians trying to take over the warden showed a great feat of strength that kept the Phyrexians from getting too powerful. After the death of that warden the plane is left without a warden and a monster that is growing more powerful without a powerful being to keep it at bay. Tarkir (Claimed): A sudden near extinction of the dragons leaves them to where only a single dragon is left behind but also gives power to the elementals created by the souls fleeting the dragons bodies, this causes the more powerful elementals to slaughter all of the weak and start a war over control of the plane. 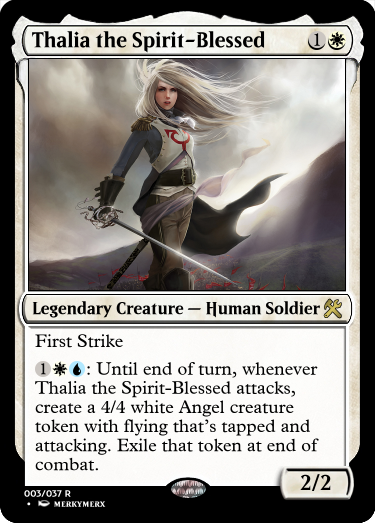 Theros (Claimed): Theros has been one of the most peaceful planes in the multiverse until a vision came to a Setessan Warrior that led to a series of events leading to the resurrection of Elspeth Tirel, but it wasn't truly Elspeth, this was just part of a more complex plan by another individual. 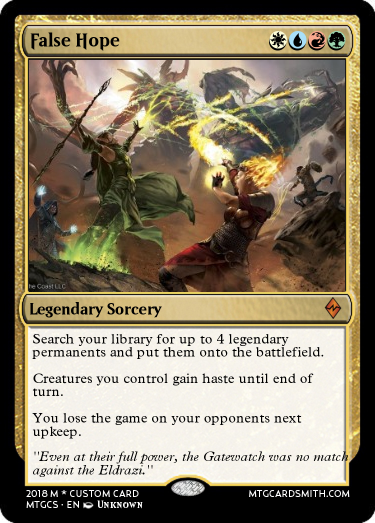 (In this the Gatewatch being formed and the events of Amonkhet are before Zendikar) Zendikar (Claimed): The Eldrazi continue to rage on through Zendikar and prove themselves stronger than the Gatewatch and defeat all of them except Nissa after this crushing defeat Nissa travels to the remains of Bala Ged and gave her life and her spark to the Khalni Heart which defeats the Eldrazi but with their remains and the new natural areas of the plane a new enemy gains power. I'll take Zendikar. Card coming soon (like, in 5 minutes or so. 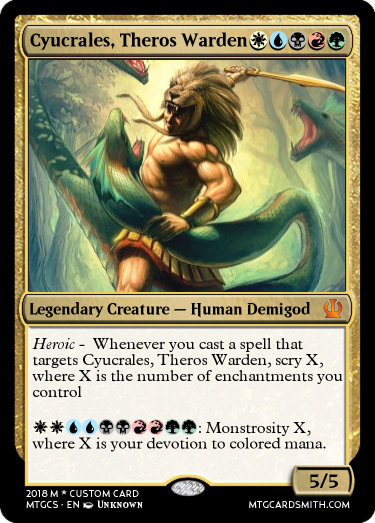 This guy's got everything that was important in Theros: A subtype of (demi)God, Heroic, Enchantment Matters, Scry, Monstrosity, and Devotion! And, like 37 minutes after I thought I'd be done, I've finished. I'll stake my claim on Lorwyn! 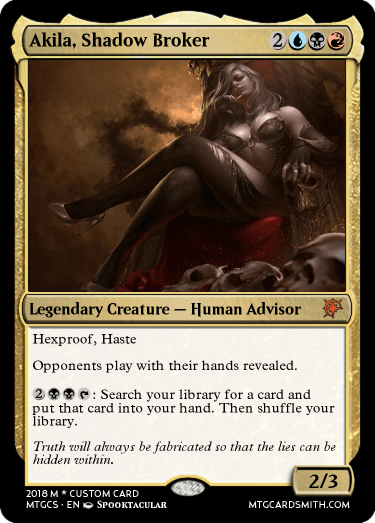 Merrevia Sal is from Dominaria. Her and the other elder dragons all grew up there. Ugin planeswalked to Tarkir much later. 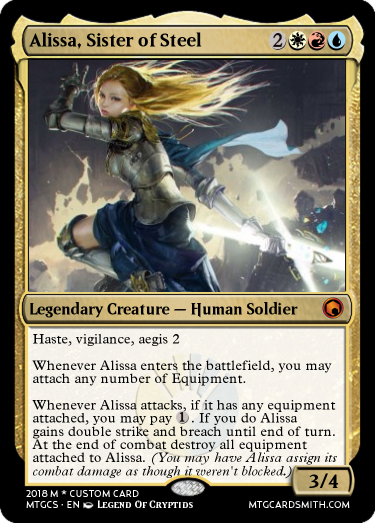 @Aggroman15 Is devotion unique to to Theros? I use it all the time. @lastjustice, yeah I remembered it all right after I posted her...I changed planes to Fiora and a different warden. @spookoops I liked your idea, just if Dominara had been a choice instead. In the name of the people of Mirrodin I claim this Plane! I claim Tarkir as my own, with this my conquest begins. @Mantis17 I just looked on Gatherer, and there is not a single card that uses devotion that did not come from Theros. Ixalan is the only plane left undefended!